Welcome to our living room. This pile of gear is a mess, but at least it exists! Small steps. 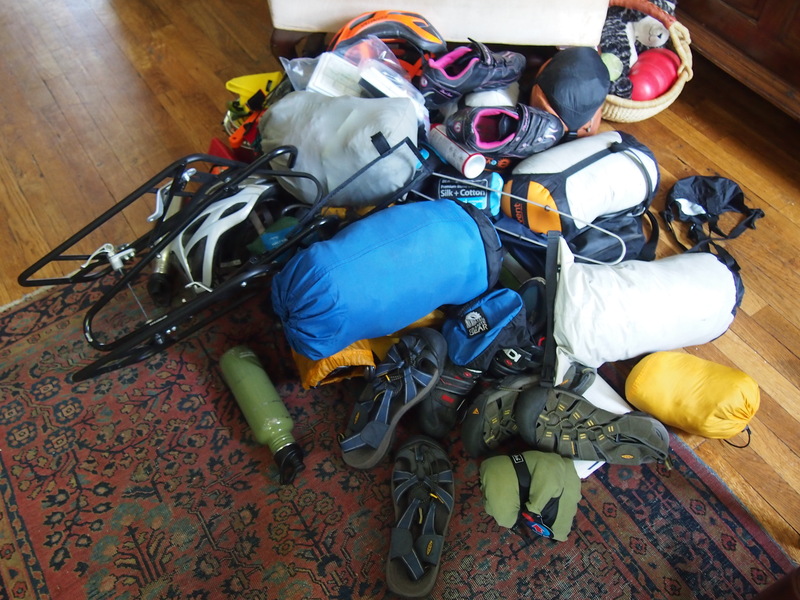 Check out our packing list (and much more organized pictures of gear) here. We’re also very close to having figured out all of our trip logistics. Dani just graduated and is finishing her two internships this week. Ted is wrapping things up at work and rushing to complete all of his paperwork to begin law school (three days after we expect to return :-/). We’ve just found a place for our car and dog, and recently secured a house sitter. Our list of little things to do before we leave is still quite long, but we’re happy to have gotten most of the large things sorted.We waver between feeling terrified and excited about this trip, but we’re definitely ready to stop worrying about it and get on the road!